What type of clothing can I send and how many items do you need? 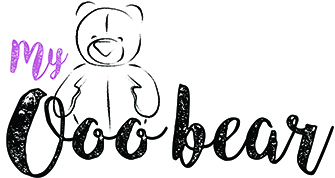 Ooo Bear: Please see our blog for a guide on selecting your clothing for your My Ooo Bear. Ooonicorn: We need 8-10 sleepsuits ages 0-3 months or larger, you can send smaller sizes but please double up the minimum to make sure we have enough fabric. At least two of your sleepsuits need to be aged 3-6 months or larger to allow for the size of the body and mane. We can really only use patterned sleepsuits so if you are unsure, or have a motif you would especially like including please do pop us a message and we will chat with you about your item to see if there is a way we can include it. Rooobit: We need a minimum of 8-10 sleepsuits ages 0-3 months or larger, you can send smaller sizes but please double up on the minimum to make sure we have enough fabric. We would ask that you send a maximum of 2 items with motifs, but as always if you would like to double check your items or just have a question then please just send us a message, we always love to hear from you. Stooocking: My Stooocking is made form a minimum of 4-6 sleepsuits aged 0-3 months plus. At least one sleepsuit must be 3-6 months and two be mainly white so they can be used for the cuff of the stocking. As a rule it is the backs of the sleepsuits that is used to create your Stooocking so although every effort will be made to incorporate motifs we can not guarantee they will fit due to the shape of the Stooocking. Do you return the left over fabric? We will return any items which haven’t been used free of charge, however if you would like us to also return any leftover fabric (scraps) we can do so at a small additional fee to cover the extra postage costs. What do you do with the left over fabric if not returned? All of the left over fabric is taken to The British Heart Foundation who recycle them. Should I wash and iron the clothing I send? Clothing must be received in a good clean condition. ironing is not necessary as this is done as part of the ‘making’ process. Please consider that the older the clothing the more ‘worn’ your item will be .. if unsure please just get in touch and we can advise you. We are currently working on a 8-10 week turn around from the date we receive your clothing at Ooo Bear HQ. We will confirm receipt of your clothing when it arrives and then send a follow up email within two weeks to let you know the expected date of your special Ooo arriving home. We hope to keep you informed every step of the way, however should you want to double check anything please just pop us a message .. we love to hear from you. If for any reason your items are faulty please contact us within 7 working days of receipt so we can discuss any faults and remedy where appropriate. The very personal nature of our items make it very important to us that they are as perfect as they can be, so every effort will be made to ensure you are happy. As all of our items are personalised once work has begun no refunds / cancellations / returns can be offered. Orders can be cancelled anytime up until work has begun. If you choose to cancel your order once your clothing has already arrived with us then a return postage fee (approximately £5) will be deducted from your refund. We are happy to take orders from all over the world, however if you are outside of the UK please contact us prior to ordering.